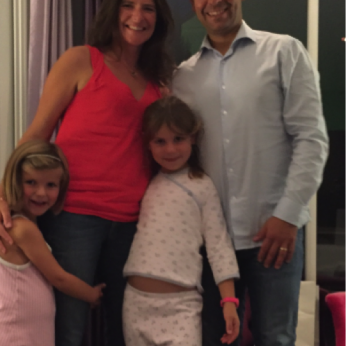 We are a dynamic family of 4 members: Florence (38), Vincent (38), Margaux (8) and Marie (6). I am sales manager for a biotech company and Vincent is business unit director in a consulting firm. 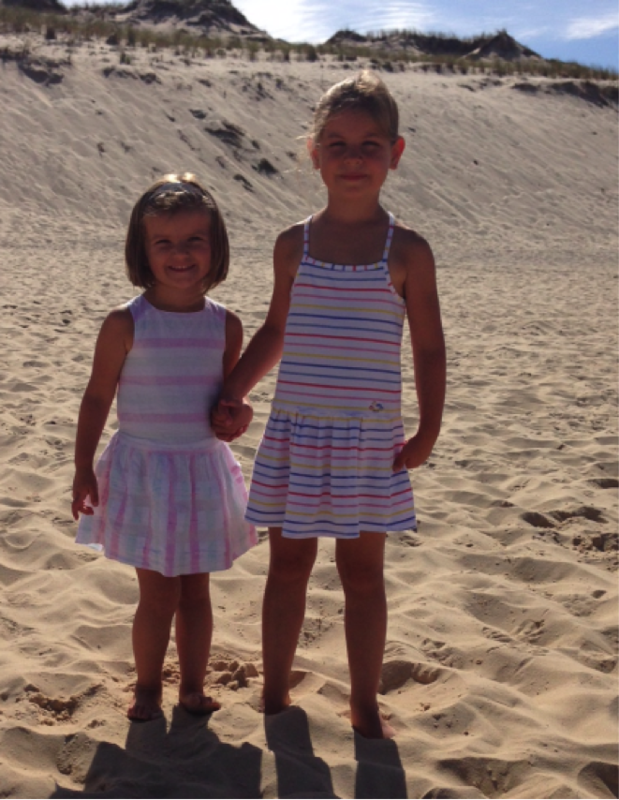 We already have had an Au Pair for the last 2 years, and it has been a fantastic experience for everybody. We live in a big (330 sqm) and beautiful house with a 2000 sqm park between the forest and the city centre of Rueil Malmaison (80000 inhabitants). Rueil Malmaison is Napoléon’s historic city; it is located in the west part of Paris; directly connected by public transportation (20 minutes from the Champs-Elysées). Our girls go to the private school of Rueil Malmaison (direct bus from the house) every week day and have tennis practice and classical dance. – Picking them up at school at 4 pm (Mon-Tue-Thu-Fri) and at noon on Wed.
– Bringing them to tennis and dance courses after school. – Assisting them with homework. – Taking care of their clothes. – Entertaining them and contributing to their personal development, well-being and happiness. You will be free every week day until 4 pm (noon on Wednesday), during week-ends and school holidays. Exceptionally we might ask you to prepare the girls and bring them to school in the morning if both of us are on business trip. The free time during the day will enable you to attend a language school; we recommend “France Langue” in Paris as this is where our previous Au Pair was attending French courses and she was almost fluent at the end of her stay with us. You will benefit from a private suite of 30 sqm with direct access to a large terrace with a beautiful view. The suite is furnished with a double bed, a desk, a wardrobe, a sofa, a private bathroom, TV/WiFi and a MacBook. The suite is located on the 2nd floor. A unlimited telephone subscription and public transportation card for the whole Paris area will also be provided. I hope that my letter provide you with an insight to our family. There is much more to tell. If you think you might like to come to our family please let me know. I’m happy to answer any questions that you might have. 10 pièces, 6 chambres, 5 SDB, jardin, 3 garages, trampoline, balançoire, forêt à proximité directe. Studio de 30 m2 avec salle de douche privative, lit double, bureau, canapé, TV, PC, terrasse. France Langues Paris Victor Hugo. Centre ville avec tous commerces à 5 minutes en voiture, 15 minutes en bus. Week-end et tout ou partie des vacances scolaires. Sortie d'école à 16h / 12h le mecredi et accompagnement aux activités : danse & tennis.